For the hearing impaired, simple things like hearing the doorbell can be almost impossible, which can cause them to feel isolated and alone. Because of this, it's vital that they have technology that can keep up with their needs. 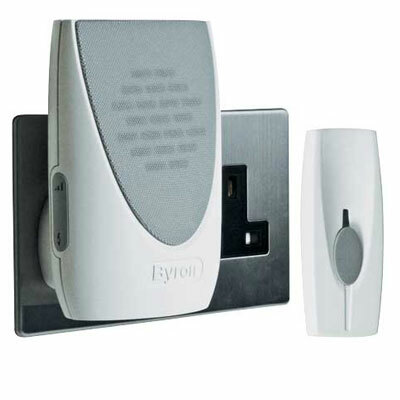 An all-in-one doorbell system for the hearing-impaired, the Byron Plug-In Flash Chime Doorbell for the Hard of Hearing BY202F uses both loud sound and strobing light to alert individuals to someone ringing the doorbell. The 85dB alarm the Byron doorbell creates is great for alerting the hard of hearing and ensuring that they can hear the doorbell ring. With 6 different melodies to choose from, the user can choose the best sound for them so that the sound they hear is as clear as possible. Alongside the loud alert, the Byron doorbell also features a bright strobing light, which helps give users a clear visual indication that the door requires their attention. They can even change the setting of the doorbell to use both the sound and light, or just one of these, to suit their needs and maximise their chances of being alerted. The Byron doorbell is incredibly easy to set up, and because it's a wireless system it offers more flexibility in positioning than a wired solution. And as the receiver just plugs into the mains directly, you can be sure that it won't run out of power!